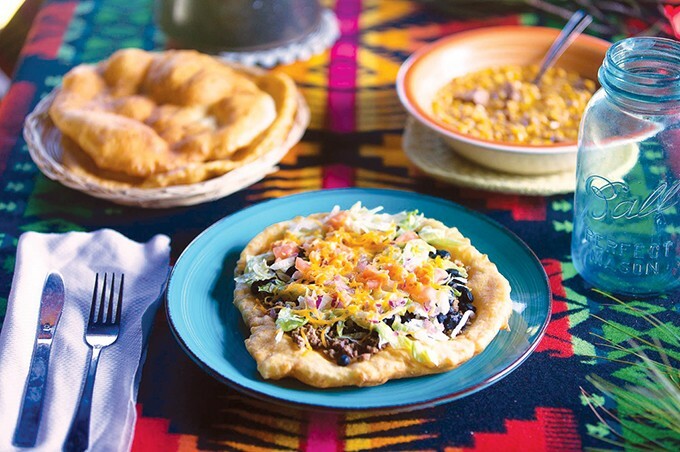 You don’t have to wait for fall and the state fair to get an indulgent fry bread Indian taco. Whether you’re looking for a classic location that has been serving them for decades or something a little more modern, these seven restaurants have you covered. A takeout box should be mandatory with pretty much any entrée at The Miller Grill. 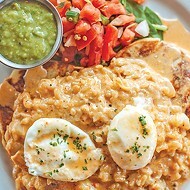 Its Indian taco is 12 inches in diameter and weighs about four pounds. 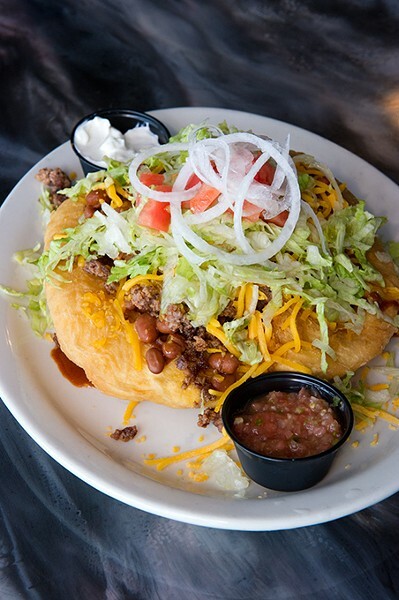 On Tuesdays, the massive fry bread is only $5.99. If that’s not enough, there is the Indian Taco challenge that weighs 13.5 pounds. 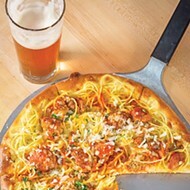 Challengers have an hour to clean the plate or it will cost $39.99. An institution on MacArthur since 1956, it is the only place in the metro where you can get a true Indian taco from a drive-thru window that is as good as any other rendition. 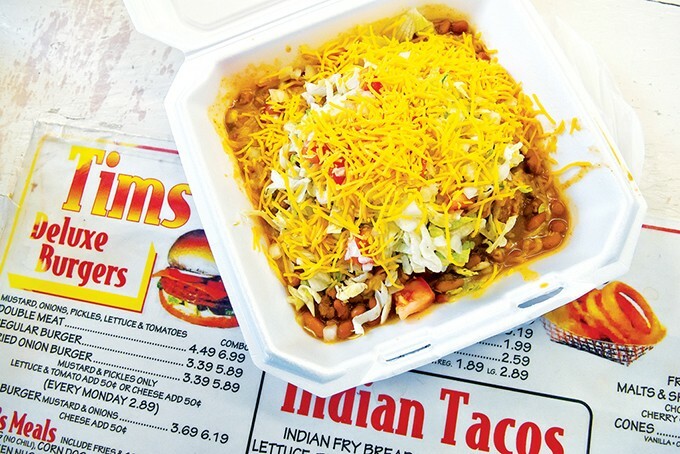 When it comes served in the Styrofoam container, the chili spills over the sides for a genuine fork-and-knife endeavor. On Wednesdays, the taco runs as a $5.49 special, but it’s only $6.49 the rest of the week. 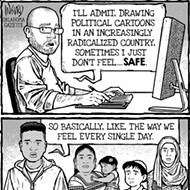 Just remember to bring cash. The customizable experience begins with fry bread that features a recipe from Citizen Potawatomi Nation members. Customers then choose a type of meat (including bison), bean (black, chili, pinto), a variety of fresh vegetables and a choice of hot sauce. The shop also sells fry bread topped with just meat or fruit and also dishes out a mean bowl of corn soup. The Indian taco is a very indulgent dish, but that doesn’t mean vegans can’t enjoy it. 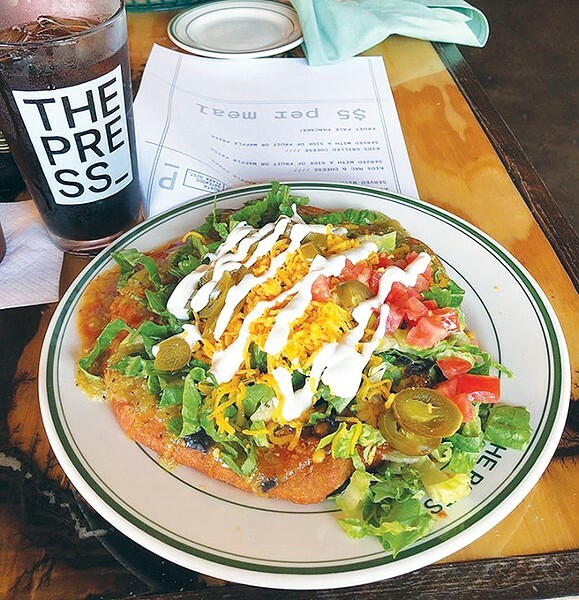 Picasso Cafe is a refuge for vegetarians in the Paseo with about half of its menu dedicated to vegan dishes, including its Indian taco, which uses vegan chili (that can also be found on its Frito pie) to top its vegan-friendly crispy and soft fry bread. 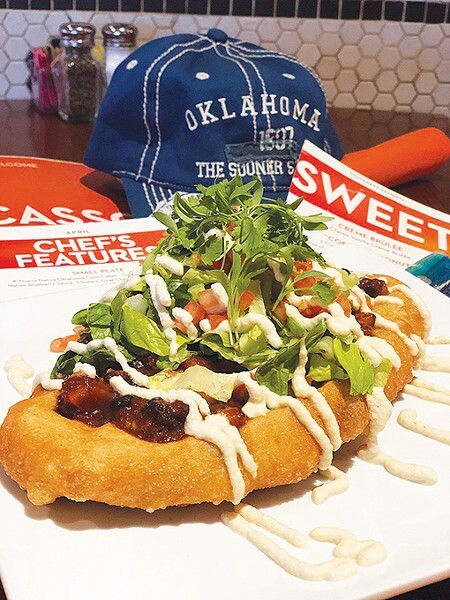 The fry bread is made in-house, and The Press’ version of an Oklahoma favorite is available for vegan orders thanks to chef Beth Lyon, who designed the menu. The fresh fry bread is topped with black bean puree, chili, pickled jalapeño, cheddar cheese, red chili sauce and green onion. The Press has an excellent vegan chili that is the standard side for its vegan burger as well. This venerable diner serves great breakfast, but if you manage to come in for lunch before its 2:30 p.m. closing time, the Indian taco is among its best lunch options. 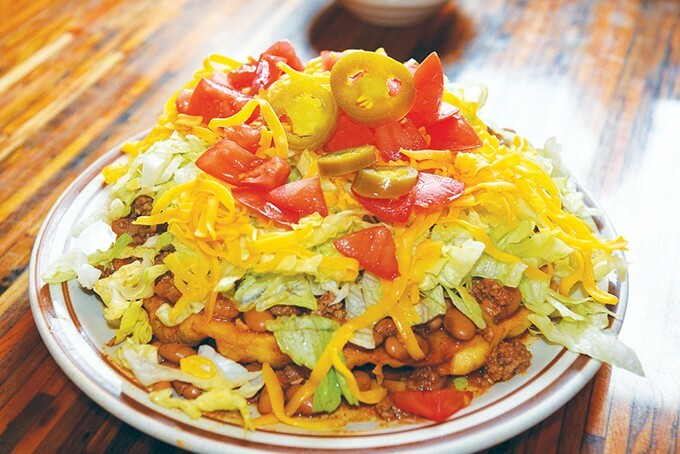 The fresh fry bread is warm and remains crispy under a pile of toppings. 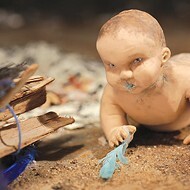 It defies the odds by not being too greasy, which is often a hallmark of an Indian taco. 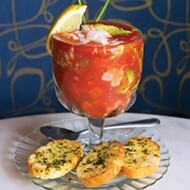 At only $6.49, it is a lunch option that can easily feed two people. 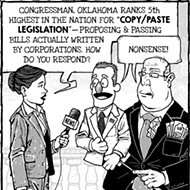 This restaurant has served Del City and Tinker Air Force Base since 1955. It started as a nine-seat counter service and expanded to its current restaurant in the late 1970s. 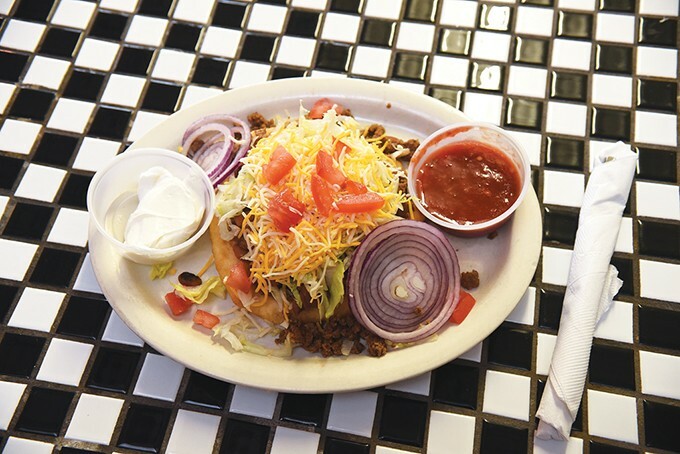 Its Indian taco is piled high with ground beef, cheese, lettuce and sour cream. Even though it is listed in the side order section of the menu, it is hard to imagine anyone eating the behemoth in addition to an entrée.